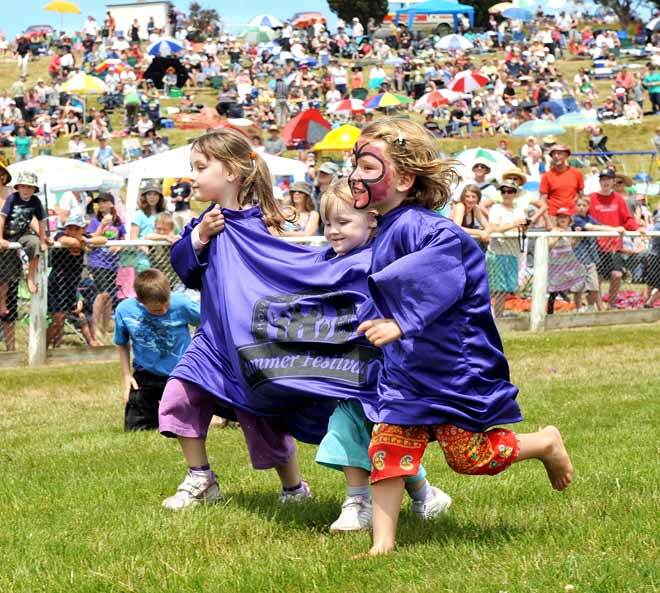 Courtney Greer, Jasmine Greer and Rata Petherick race to the finish line in a children's 'three-person T-shirt' race at the Waikouaiti New Year's Day races in 2010. In recent years the New Zealand Racing Board has run a summer festival programme at all holiday meetings like this one. It helps clubs organise events and facilities for children and families, emphasising the fun aspect of a day at the races.